What ways to make some designs with your travel photo can be considered as interesting? Just make a travel magazine cover with your travel photos. It seems interesting and it is easy to be done with the help of magazine cover maker FotoJet. 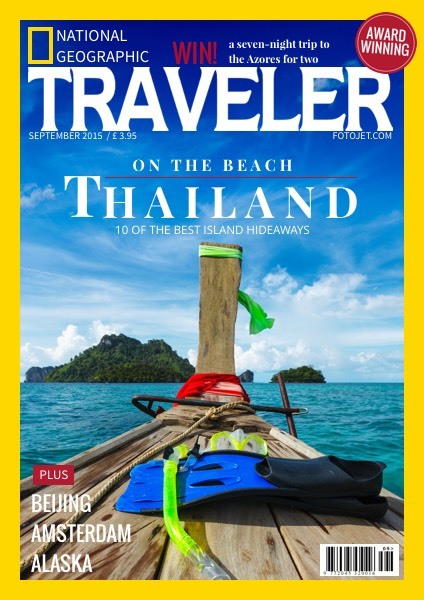 This fake magazine cover sample of National Geographic Traveler, one of the most famous travel-oriented magazines around the world, is a wise choice for you. Just try your magazine cover design now to mark the memorable journey and cherished memories on the road.